Nadia and Aidan continue their RV adventure with a trip to visit cousins in their dad’s home state of Iowa—just in time for Halloween and Nadia’s birthday! Nadia loves having time to document their discoveries about the Time Tuner. Aidan wants to sword fight with corn. But what’s a “Wright on thyme”? How does a turtle get to be a Prince? How can you get lost inside a computer? 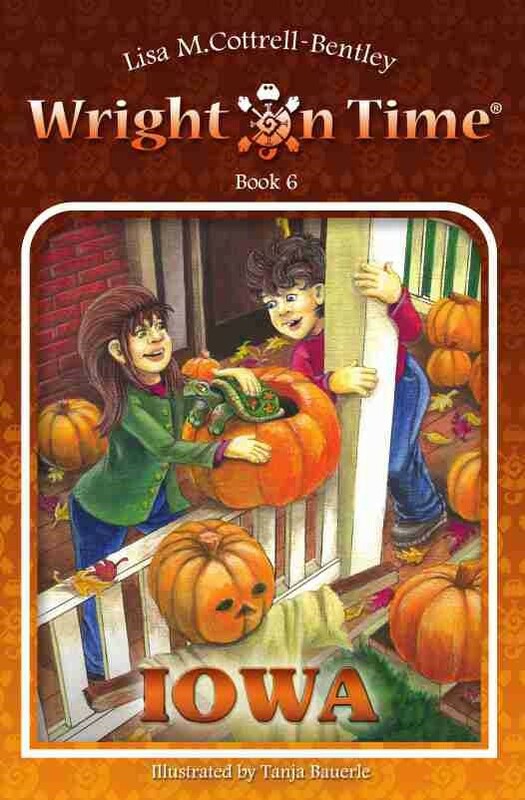 And just what freaky weird Halloween tricks will the Time Tuner play on them? Available in printed and digital formats. A fast-paced, action-packed adventure story is what you’ll find in the young adult novel titled, A Boy Called Duct Tape. Pedro Perez’s family is poor–so poor, his classmates have taken to calling him Duct Tape for the tape that holds his sneakers together. When Pedro discovers a $20 gold coin at the bottom of Harper’s Hole, he’s sure he’s found a piece of Jesse James’s treasure, rumored to be hidden in the Ozark mountains. Hiring a local spelunker, Pedro, his younger sister, Pia, and their 13-year-old cousin, Kiki, go on an underground adventure in the hopes of finding a treasure that could change all their lives. 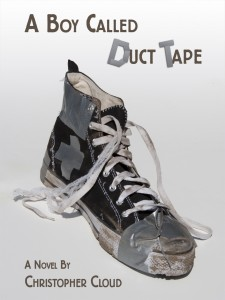 Author Christopher Cloud has created an exciting adventure story with A Boy Called Duct Tape. A 12-year-old unpopular kid, his nine-year-old sister with a bad leg, and his cousin who is visiting, are an engaging trio of young treasure hunters. After performing research to find out how much the $20 gold coin is worth, Pedro is convinced it is part of the spoils from the James brothers’ heists. The three decide to hire Monroe Huff, a local spelunker to guide them through the cave using a $1 treasure map sold at the county fair. A Boy Called Duct Tape is part history lesson, part geology lesson, and all pure enjoyment. Simpler in content than some young adult novels geared toward an older audience, the constant action will keep readers turning the pages. Cloud’s style and a superb plot blend together with his wonderful cast of characters to provide an overall great story. As a parent, I only had one complaint. No mother in her right mind would allow her two young children and her niece to make a potentially life-threatening journey with a total stranger. While the reader isn’t privy to how Pedro unfurls his plan to his mother, she is the one who drives the three kids to meet Monroe Huff on the day they start their treasure hunt; and she knows they might be staying overnight. She briefly talks with Huff and then tells the kids she trusts him, gushing over how he called her ma’am. Now, I could easily believe the kids hatched this plan and didn’t tell the mother they were taking off with Huff, leaving behind a note for her to find once she returned home from work that day, but having the mother approve of the trip after meeting Huff once was a huge stumbling block for me. It’s the one dent in what is otherwise a flawless read. A Boy Called Duct Tape by Christopher Cloud is a fabulous book. I’ll definitely be looking for more from him in the future. I received a free Kindle version of this book through Pump Up Y our Book virtual book tours in exchange for my honest opinion. I received no monetary compensation for this review.